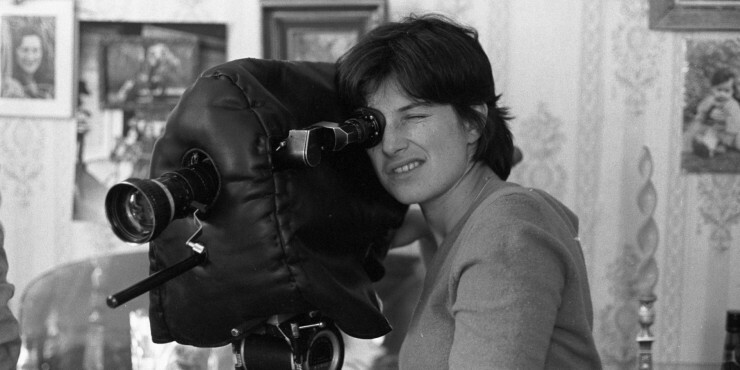 Chantal Akerman’s recent death, her alleged suicide, colors how many people will view her work. But she was much more than her struggle with depression and her form of death. Perhaps most important was her work, which varied from the commercial to artistic to avant garde filmmaking. A Belgian film director, her influence on feminist filmmaking and avant garde cinema was substantial. Akerman was born in Brussels to Holocaust survivors. Her mother, Natalia, survived Auschwitz, where her own parents (Akerman’s grandparents) died. At age 15, upon seeing Jean-Luc Goddard’s Pierrot le fou, Akerman decided to make movies. 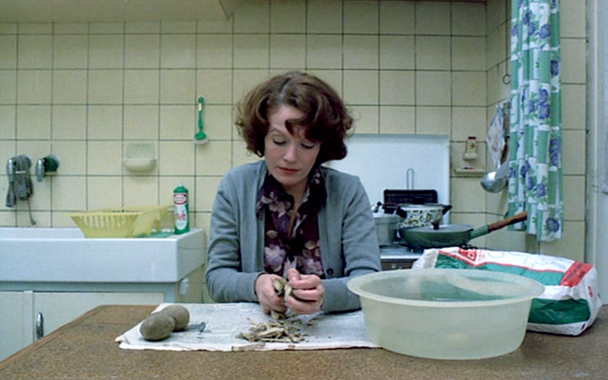 At 18, Akerman began studying at the Institut National Superieur des Arts du Spectacle et des Techniques de Diffusion, a Belgian film school, but dropped out to make her first short, Saute ma ville. (Available on YouTube here.) To subsidize the film’s costs, Akerman traded diamond shares on the Antwerp stock exchange. Shortly after Saute ma ville, Akerman moved to New York, where at the Anthology Film Archives, she was impressed with the work of Stan Brakhage, Jonas Mekas, Michael Snow, Yvonne Rainer, and Andy Warhol. In 1972, she released two shorts, La Chambre 1 and La Chambre 2, as well as her first feature film, Hotel Monterey. These works reveal the influence of structural filmmaking through these films’ usage of long takes. The protracted shots serve to oscillate images between abstraction and figuration. Her films from this period also signify the start of her collaboration with cinematographer Babette Mangolte, who worked on La Chambre, Hotel Monterey, Hanging Out Yonkers, Jeanne Dielman, and News From Home. 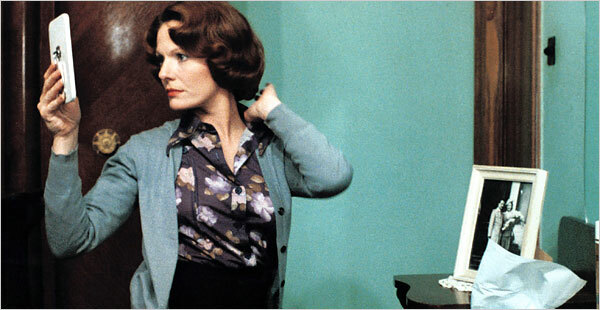 Akerman returned to Belgium in 1973 and received critical recognition for her 1974 feature, I, You, He, She (Je Tu Il Elle). 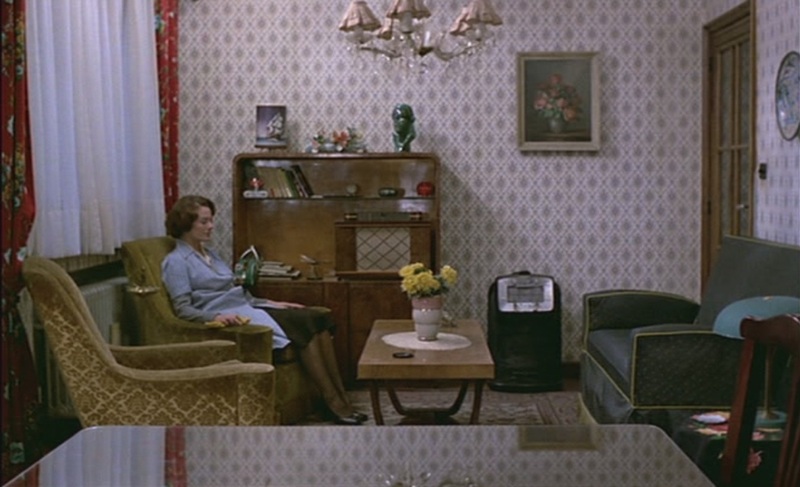 Akerman seemed to avoid anything that could categorize or ghettoize her filmmaking in a particular way. 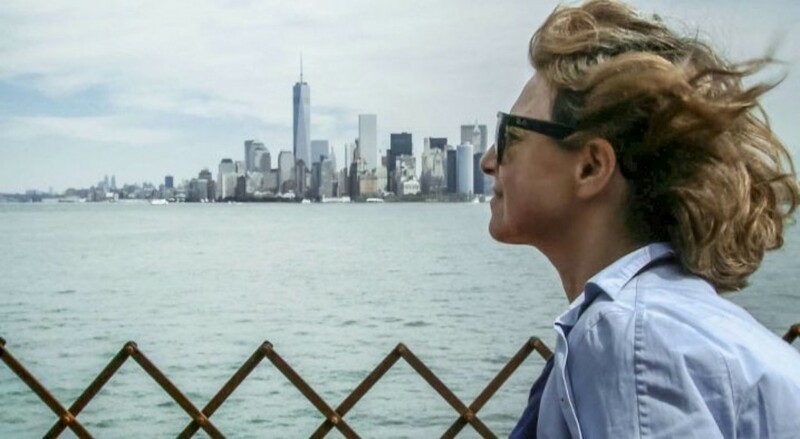 Although she was a lesbian filmmaker, she avoided labels and refused to have her work featured in LGBT film festivals. Directors like Todd Haynes, Sally Potter, and Michael Haneke have credited her as a major influence. J. Hoberman, a former film critic for The Village Voice, likened her to Goddard and to German director, Rainer Werner Fassbinder. She sought to break free of linear narratives and direct explication in both her cinematic essays and her documentary work, preferring to leave essential things unsaid. The trauma of the Holocaust was a continuing theme in her work, but one which remained below the surface. Only recently, as she began working on a documentary about her mother, No Home Movie, did she wish to discuss the Holocaust explicitly. However, her mother was not willing to recount her experiences. 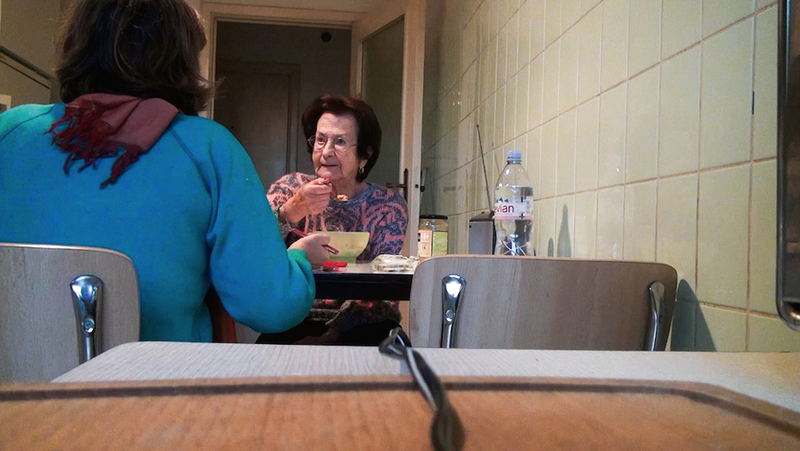 More broadly, No Home Movie is a documentation of a relationship with an older relative as they grow older and sicker. Many say Akerman was in a dark emotional state after her mother’s death and suffered breakdowns for which she was hospitalized. It’s hard not to view Akerman’s last work in the context of her death, but instead, we must remember her legacy and filmography, rather than one small part of her life.